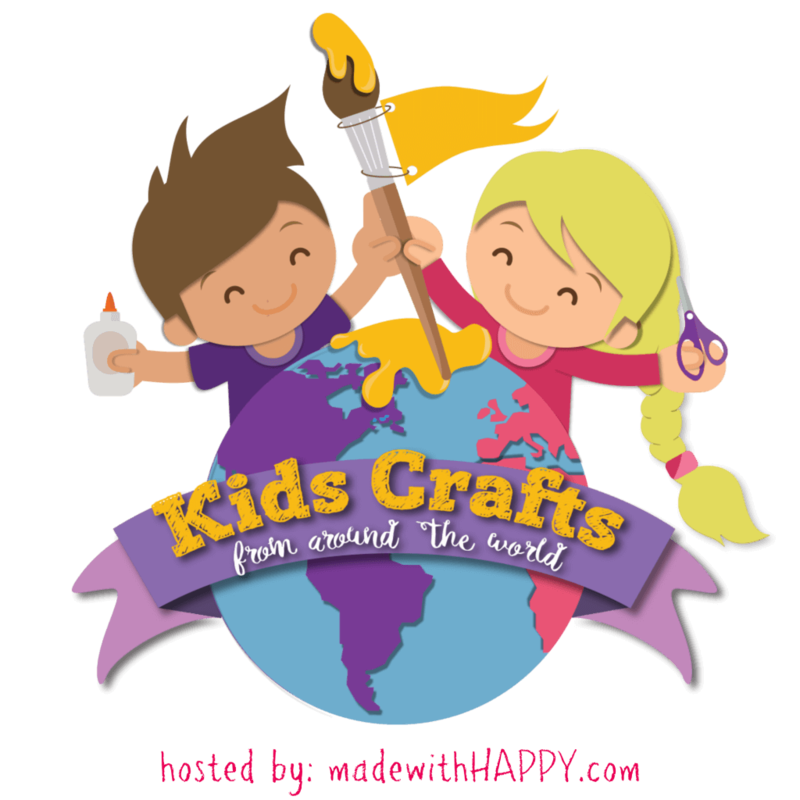 We are super HAPPY to be joining up with Made with HAPPY as part of the Kids Crafts from Around the World series! If you haven’t taken a minute to check it out yet, be sure to hop over to see all of the other fun globally inspired crafts for kids! 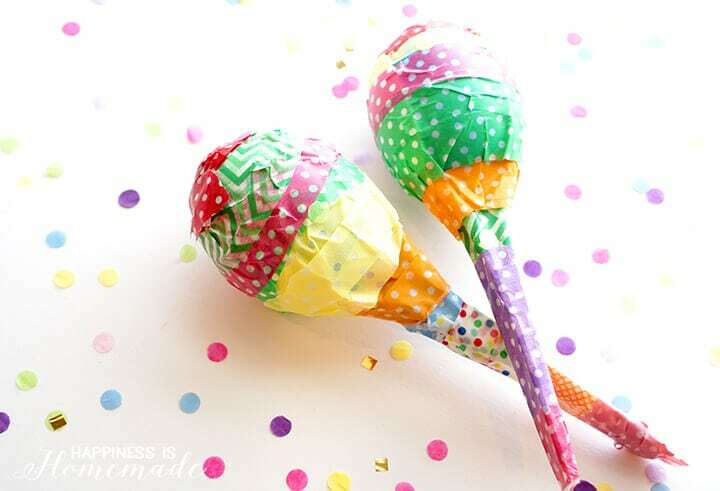 My boys love anything that makes noise, but they are particularly fond of maracas and other noisemakers that double as musical instruments. As part of our homeschool studies, we recently studied Latin American countries, and the boys were excited to discover that there are several different countries (Brazil, Colombia, Puerto Rico and Venezuela to name a few!) that ALL disputably claim to be the birthplace of maracas. We might not know exactly where maracas originated, but they most definitely play a large role in Latin American culture and music! We took advantage of our post-Easter stash of plastic eggs, along with some plastic spoons and washi tape, to make our own egg shaker maracas. Start by filling the eggs with your choice of noise making items – dried beans, rice, pebbles, sunflower seeds, popcorn, and beads all work great! Different objects will make different sounds, so play around with mixing and matching to create a variety of instruments and music! 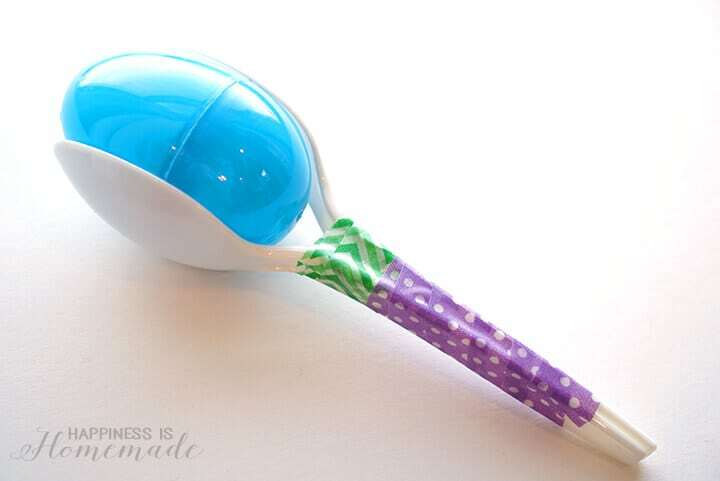 Place the filled egg in between two plastic spoons, and use washi tape to bind the handles together. 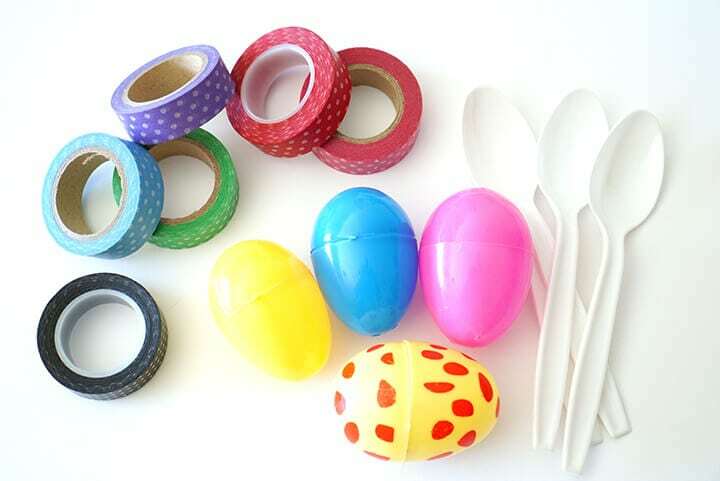 Continue to wrap the egg and spoons with washi tape until the entire thing is covered. These beauties here were the work of my 8-year-old, but this craft is fun and appropriate for kids of all ages! 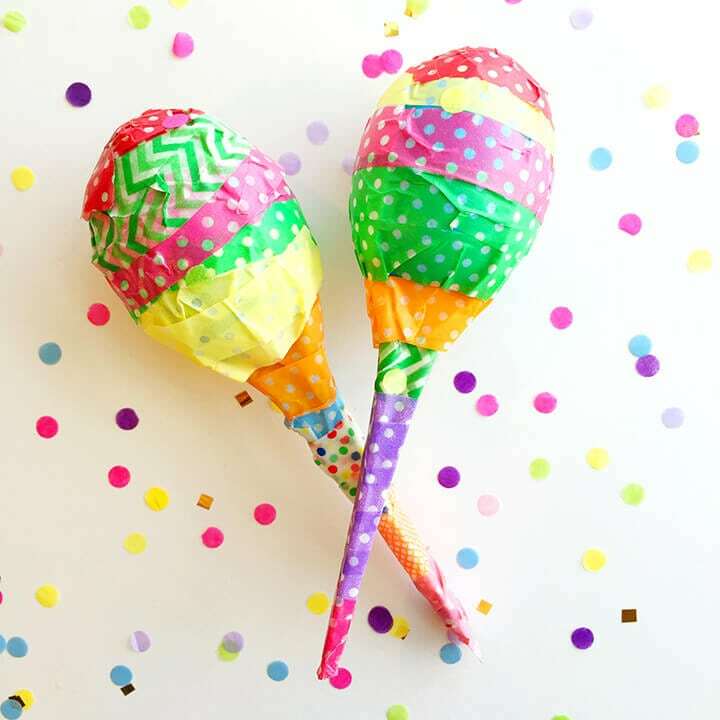 Add a little confetti, and these kid-made maracas are ready for a fiesta! 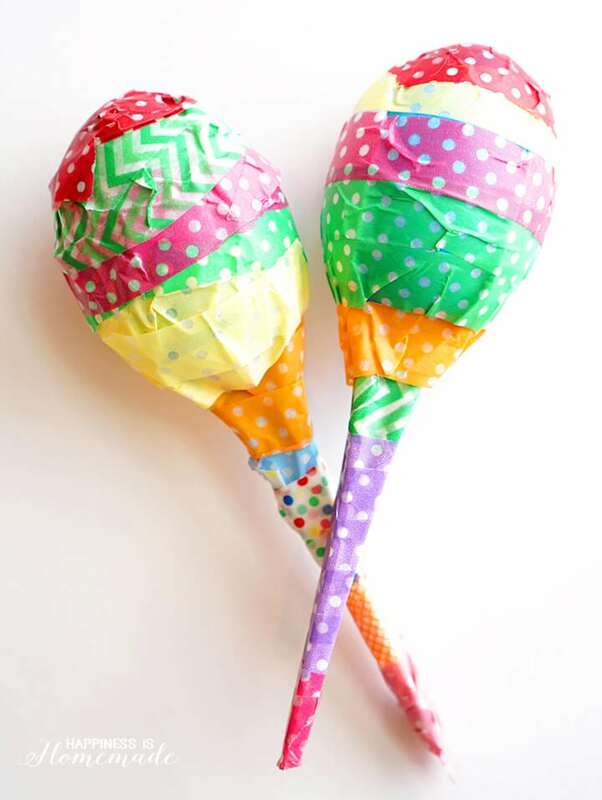 If you enjoyed these maracas, be sure to check out our Kids Crafts and Activities page (with over 200 project ideas! ), and visit Made with HAPPY for even more fun Kids Crafts from Around the World! What else could we use instead of plastic eggs? That’s also a great idea if you have the time necessary to complete a paper mache project!